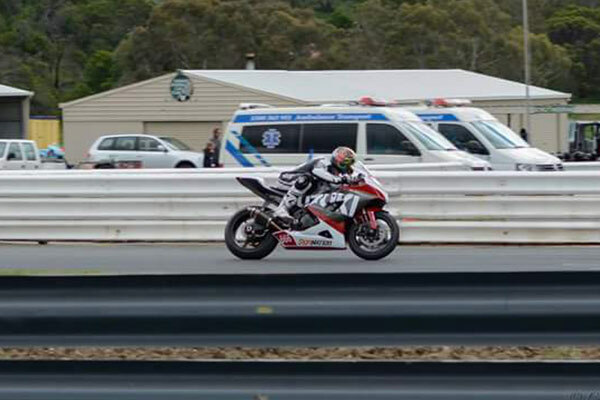 Whilst the majority of our work involves patient movements, during the weekend all that slows down. It is in this period the majority of our sporting cover takes place. 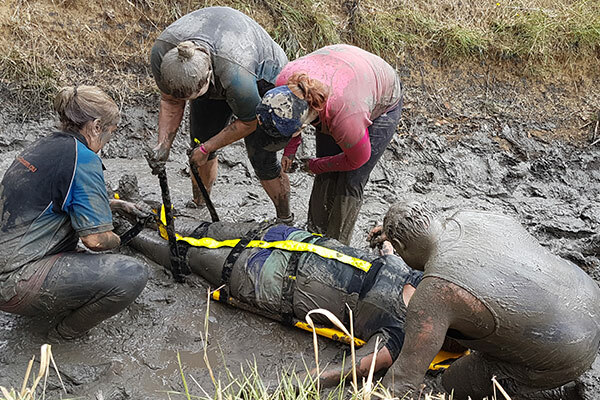 We only too well understand the pressures on small sporting groups to comply with legal requirements and have set our rates to cover the staff wages plus an allowance for the ambulance to keep our prices as low as possible. We cover sporting as diverse as horse trials to triathlons, from motorsport to netball, from fun runs to football. We provide coverage for school groups at the same time as we provide cover for corporate customers with special requirements. 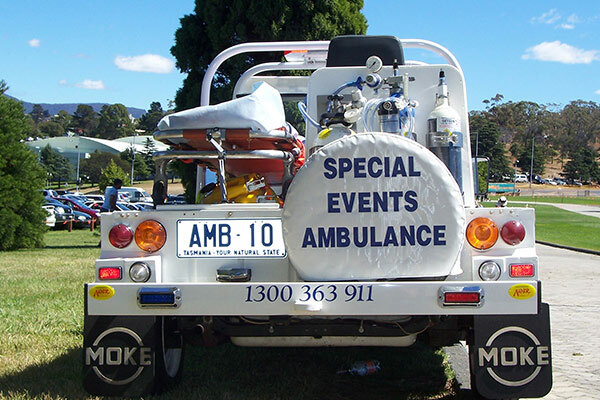 We have three very small special event ambulances you may have seen at a number of venues, one is a crowd-pleasing mini moke ambulance and the other two all-electric ambulances, one based on an extended golf cart and the other a mini length ambulance. 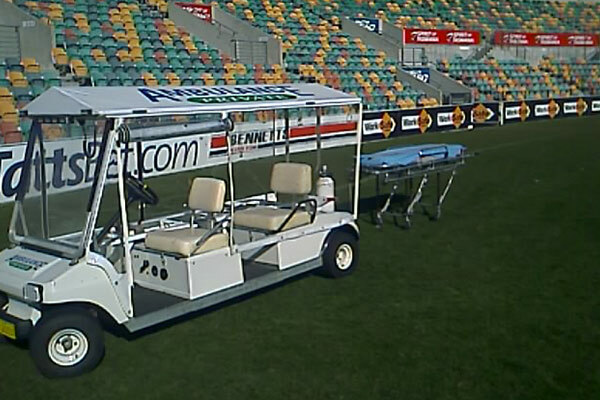 The electric “medicarts” have been well received at a variety of events, but especially at Blundstone Arena where it provided cover for players in major cricket and football matches. We recently demonstrated the medicats ability to enter lifts and provide stretcher based service on all floors of a multi storey building. On behalf of the Organising Committee, we are writing to thank you for your valuable sponsorship and services provided to the City to Casino Fun Run conducted on 17 May this year. This was the 37th City to Casino and it was a pleasure to have you as part of the event for the first (time) this year. 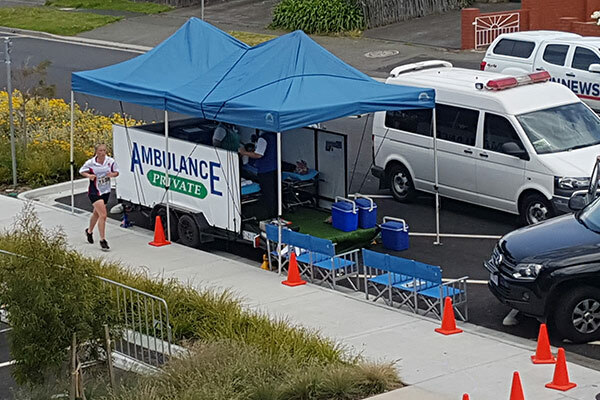 There was a record 2,555 entries which emphasises the need for the professional level of service provided by Ambulance Private. It was most gratifying and reassuring to know you were on hand in case of any medical emergencies.